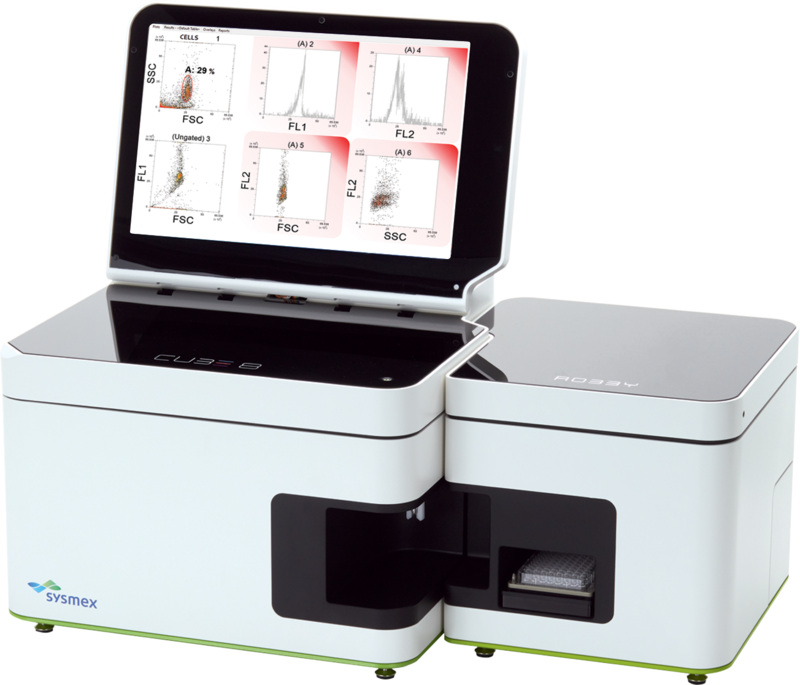 The CyFlow® Cube 8 is a compact flow cytometry analyzer offering modular configurations customizable for your research. 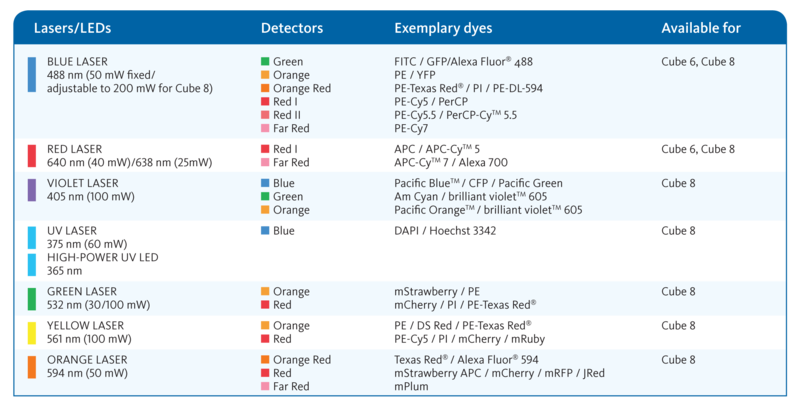 This includes upgrade options for optical parameters and fluorescence channels, additional laser light sources selectable from a wide range of nine excitation wavelengths (355 - 785 nm), optional CyFlow® Sorter and CyFlow® Robby 8 Autoloading Station for well plates and sample tubes. With its small dimensions the multi-laser CyFlow® Cube 8 features built-in Windows PC,19" LCD screen (additional 2nd screen support), software controlled pressure regulators and integrated sheath/waste container. The CyFlow® Cube 8 is equipped with standard interfaces for USB, LAN, video output, etc. The CyFlow Cube 6 Max and the CyFlow Cube 8 Max include the Blue 488 nm and the new, powerful Red 640 nm lasers. They are also enhanced with upgraded optical filters. The CyFlow Cube Max Series cytometers are also fully loaded with the upgraded CyFlow software. Easy-to-use with powerful results! Talk with your Sysmex representative for complete details. The newly designed, intuitive CyFlow acquisition and analysis software offers measurement of millions of cells at your fingertips.